Stowe, Harriet Beecher. 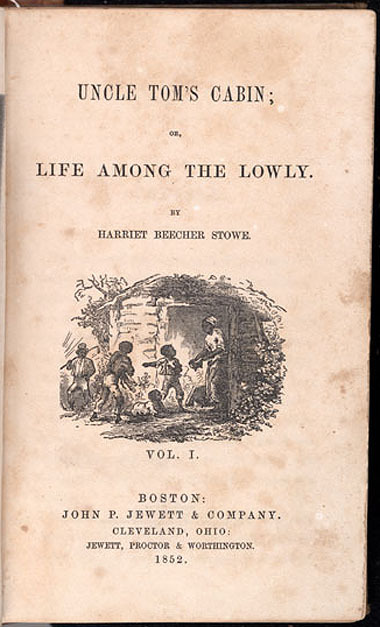 Uncle Tom's Cabin, or, Life among the Lowly. Vol. 1. Boston: Jewett, 1852. 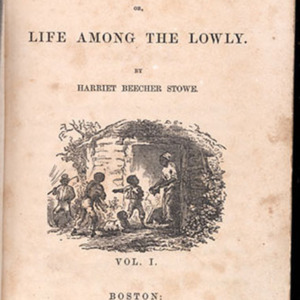 “Uncle Tom's Cabin,” University of Virginia Library Online Exhibits, accessed April 20, 2019, https://explore.lib.virginia.edu/items/show/616.